First of all, please take into account that importing code from a project in Production is not recommended. A best practice is to deploy the updated models. Select the layer from where you want to export your modifications. If you're a customer, this would typically be CUS or USR. - Export Labels : Select only when you've created new labels as part of your development. Please be aware that importing/exporting labels is a bit tricky and not always works nicely. Again, ideally labels files should be deployed to prod instead of labels being installed via projects. 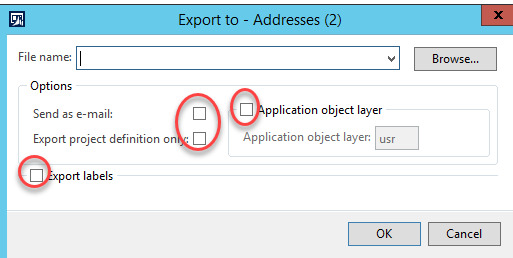 - If you've exported with labels --> Select "Application objects and labels", otherwise "Only application objects". - Show details will show you which objects are going to be imported, but it won't have any effect on the import process itself. - It should be enough with incremental CIL compile, although I would recommend full CIL.